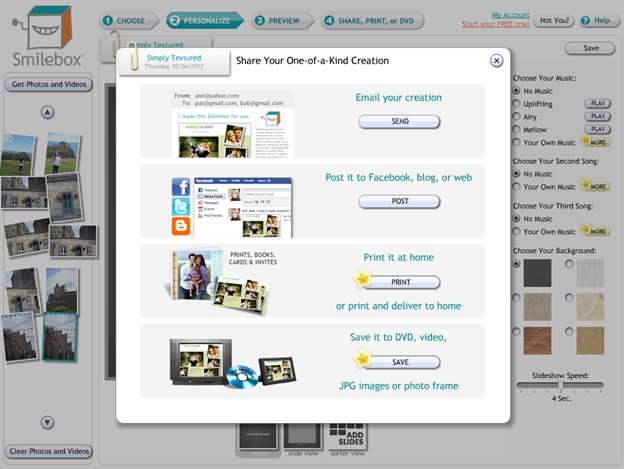 Have you been looking for an easy way to print and share your photos? 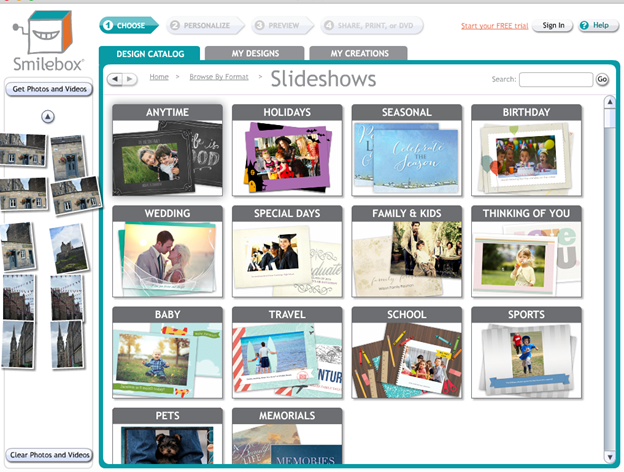 Many users use Smilebox slideshows to quickly share photos from holidays or vacations with friends and family. 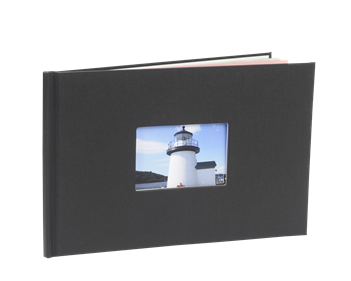 Turning them into a book makes an attractive gift or a tangible souvenir to remind a loved one of cherished memories. Smilebox’s popular slideshow option was previously only available to print as separate postcards, but there is now a simple option to print your slideshow as a photo book. 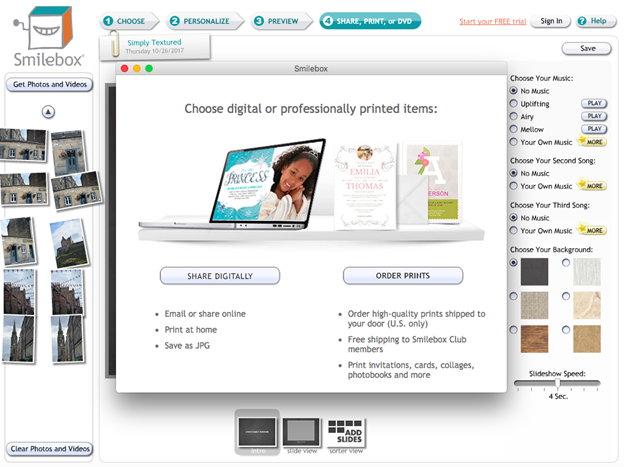 I’ve recently checked several companies for book printing comparisons and was pleased to discover that Smilebox’s options are particularly affordable. 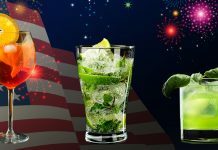 In this article, I will walk you through each step of the easy process and show you the 3 book sizes to choose from to create your final product. 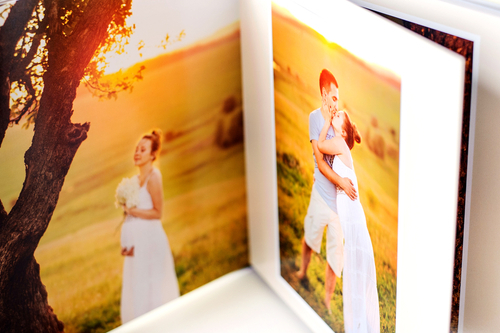 Smilebox partners with Fuji to create high quality prints, ensuring a beautiful result. With Smilebox’s print and ship to home service, the book will come straight to your door. Smilebox doesn’t have a specific option on the home page to create a book from a slideshow, so you’ll need to create the slideshow first. 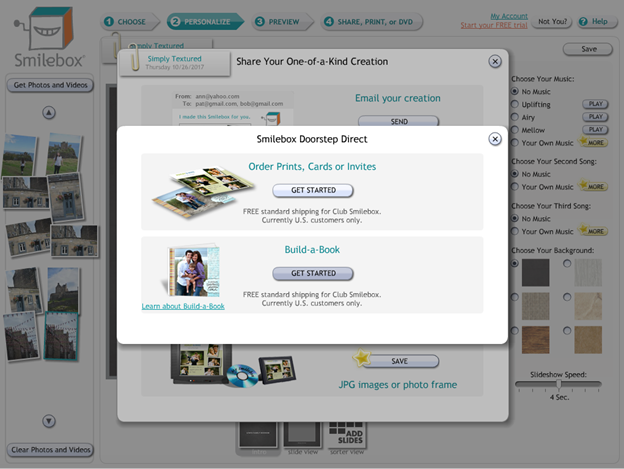 On Smilebox’s homepage, click “Choose Your Format.” The page will then direct you to a list of options. 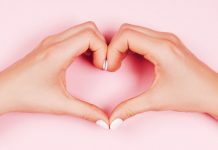 Click on “Slideshows,” and you will be taken to a page with many template options for building your perfect slideshow. You’ll want to choose a theme that best suits your photos and make sure that you include at least 20 photo slides in order to successfully turn your slideshow into a book. After you’re happy with your slideshow, click on “Stage 4 – Share, Print, or DVD” at the top of the page. You’ll be prompted to either “Share Digitally” or “Order Prints”. Click on “Share Digitally”. You’ll then see options to email your creation, post it online, print it at home or deliver it to your home, or save it to a DVD. Next, you’re going to click on “Print it at home or print and deliver to home,” the third option. 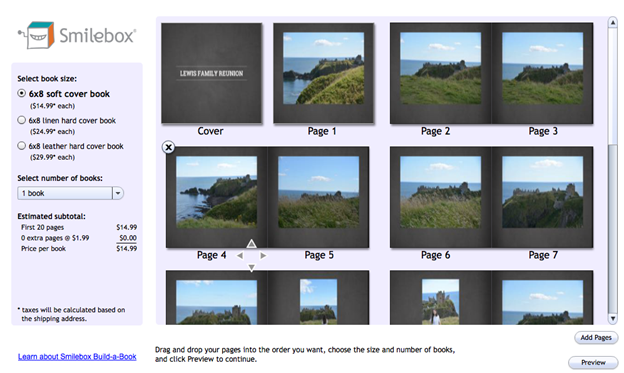 If you have more than 20 slides, you can add extra pages to your book at this stage as well. If you’re a premium user, you’ll receive free shipping – although being a premium user isn’t necessary to print a book. Enter your payment information, finalize the order, and enjoy your book!